gorgeous outside today, but i was a little, erm, under the weather, and stayed mostly inside... we made this craft last week, i think. 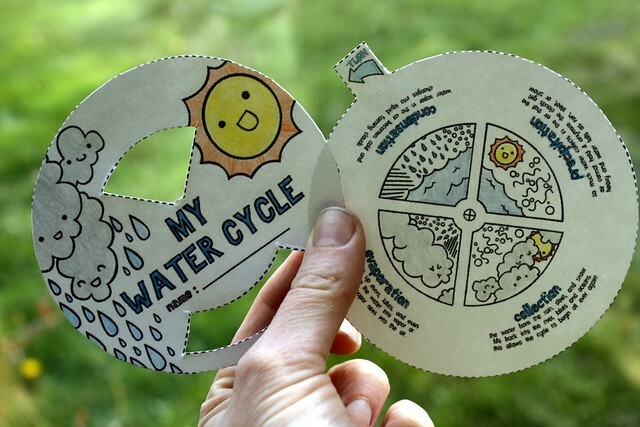 after talking about the condensation on the windows, i printed off this water cycle wheel (yup, pinterest. again.) this is my version, which, ironically, was lost in a water spill. luckily, colden made his own too, and it is still floating about (ha ha ha).